It all started so innocent, like, we're going to organize a small (mini) hackathon for 25 folks and thought "no way we're gonna fill up half a room", we still don't have that community. We were also late with the website and public announcement, actually late for 2 weeks and in panic got the website up a week before the event. What happened then, not even 24 hours passed and the tickets were all gone; we haven't even shut down the registrations on time which got us additional 12 developers. We could of make a registration form disappear on 24th registration, but there was no time for that. So we just reserved the whole building floor and made up extra room, still a bit tidy. When you organize events like this, there are always a set of unexpected events waiting for you in the worst possible time, and additionally find what else you forgot. Day started with people waiting for us in front of the building, like an hour earlier which was a bit strange and unexpected. Developers are usually the night birds :) So the first few sit and suddenly PUFF, electricity went off! "no way we already lost power, that early?". Ok, on to the fuse box; with the elimination system we discovered it was a short in one of the power outlets. Finally over, NOT. A ton of Internet ports were closed on the city connection, so call one guy, then the other one, then email, then somebody calls us and then - finally, all ports open, in less than half an hour. 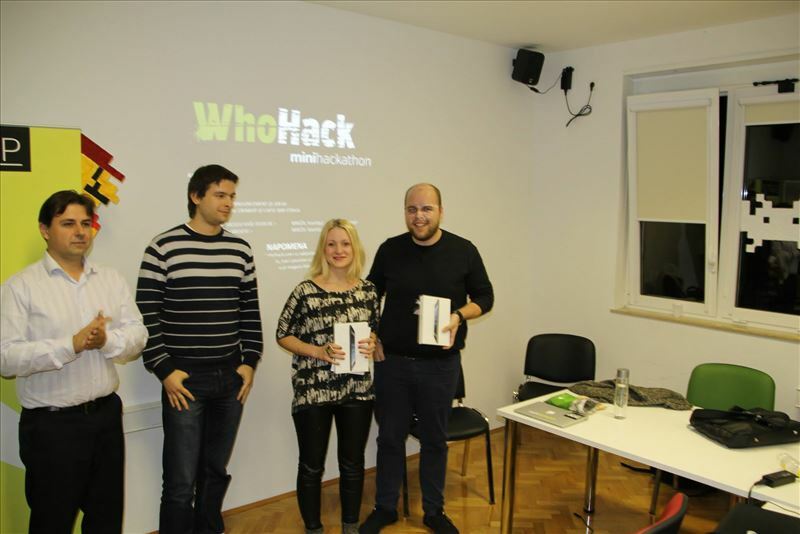 We also had an alarm going off right when judges had a short private decision making discussion regarding the hackathon winners. But most importantly. 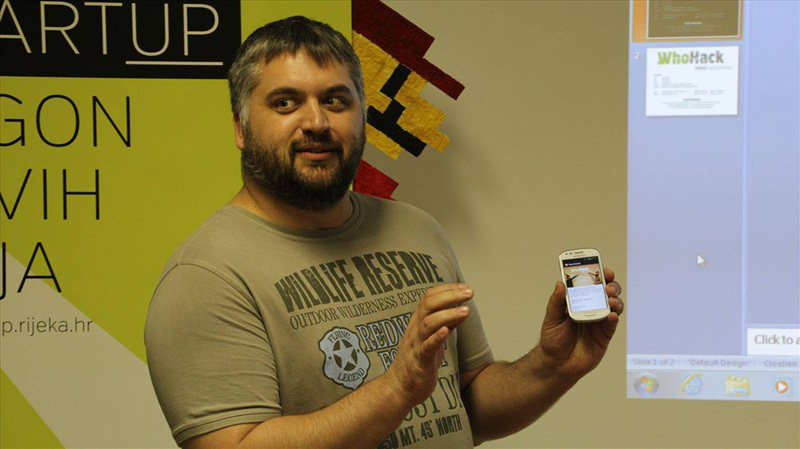 I Edi Budimilic, who attended hackathons from home all the way to Silicon Valley, I conclude that I've seen the biggest talent right here. We had 13 projects that were good enough for demonstration, not only that, but ten of them were ready for public use! The worst has happened, we had "only" 3 iPads, and all deserved it! 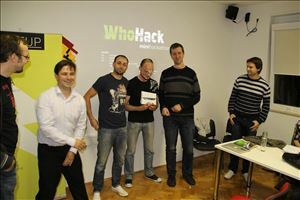 Teams were able to build a fully functional service in a single day, many of them built a website and even presentation for the end of the day. Looking at these presentations - we got the impression that we have some kind of Demo Day projects that were developed for months. 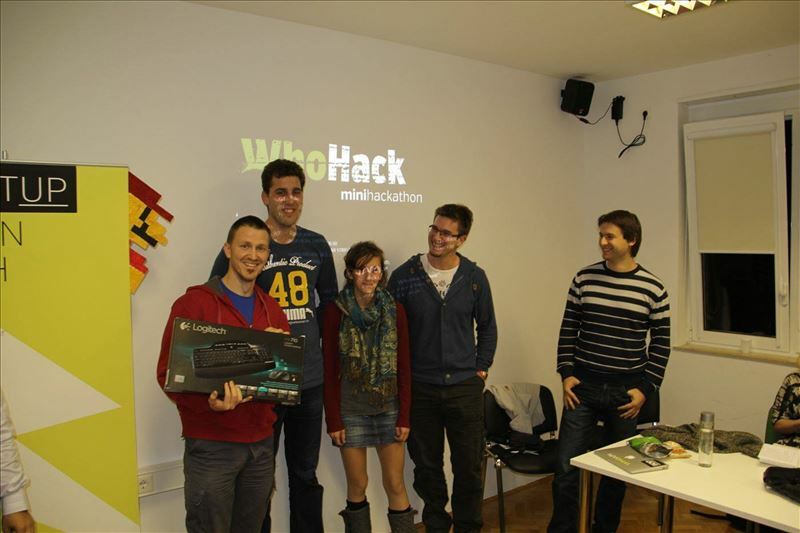 Hackathon theme was "improving society". It was necessary to make any kind of mobile application on any platform, which serves society in any way, not just locally. Some of the stringent criteria for participation in the prize pool were a good UX design, innovation and public use 'readiness'. Perhaps cause of that projects resulted in such great quality. Informing citizens to the proper disposal of waste so our beautiful nature remains beautiful. The application provides an overview of facilities, green islands, wild piles of garbage, reporting new findings and option to order garbage collection. Soon on the Apple App Store. "U nuždi" (In an emergency) serves people to easily find the closest public toilet. App serves you with a list of toilets by geolocation. Each toilet is rated by other users and the current state like amount of toilet paper etc. Catch your bus route at the last minute without having to worry about you getting late. Example: you're in the coffee bar, you turn on the app which tells you when exactly you need to get up and start walking to catch a bus right on time. There's also a map of all the city bus lines and their stations. 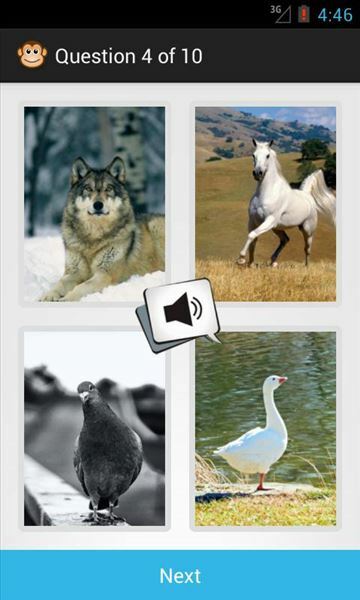 Simple quiz game that teaches kids to recognize animal sounds. 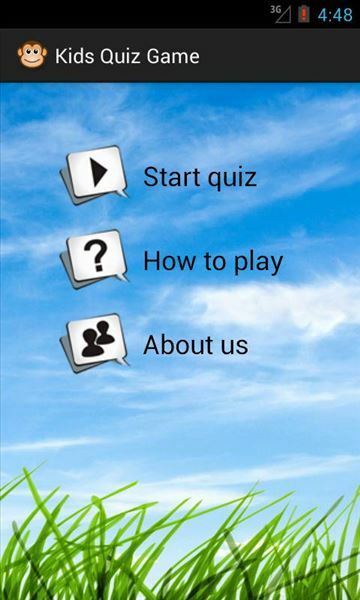 Every question has a center button used to play sound and four animals to choose from. Green smile indicates right answer and red smile wrong answers. At the end of the game, player is awarded with up to three stars. App that allows you to send scheduled sms messages. Reduce the number of missed appointments by 80%. 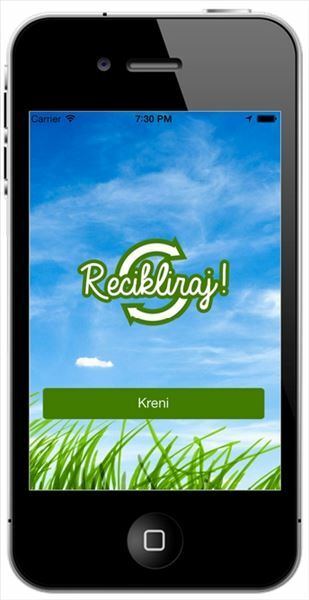 Soccer club HNK Rijeka for you smartphone. Learn all about the club in one place and find out about the games that have been played, the score table and player's portfolio. App for finding live events in different cities. App for restaurants and their guests which allows faster and easier operation and better management of the restaurant. Webapp that analyzes data on the European Citizens Initiative. App uses the open source django-eci (which is also posted with the project) and can be installed like any python package via pypi. An app that allows you to find your ride wherever you are. Nearest drivers receive notification and upon confirmation allow you to follow them on their way to you. At any time, you can become a driver and earn some extra buck. 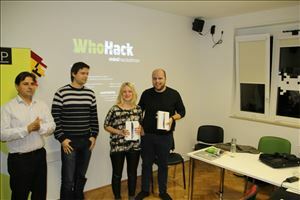 Shocked with the turnout and the atmosphere created by the people, WhoHack #3 can definitely be declared as the best hackathon we had so far. Soon to be followed with the announcement of our new large WhoHack 2013. Thank you all for participating and can not wait to see you again! Special thanks to the City of Rijeka and Terminal Works for prizes and Bura Znanja that supported us with pictures and video. Bring your idea to reality and learn something new in the process. 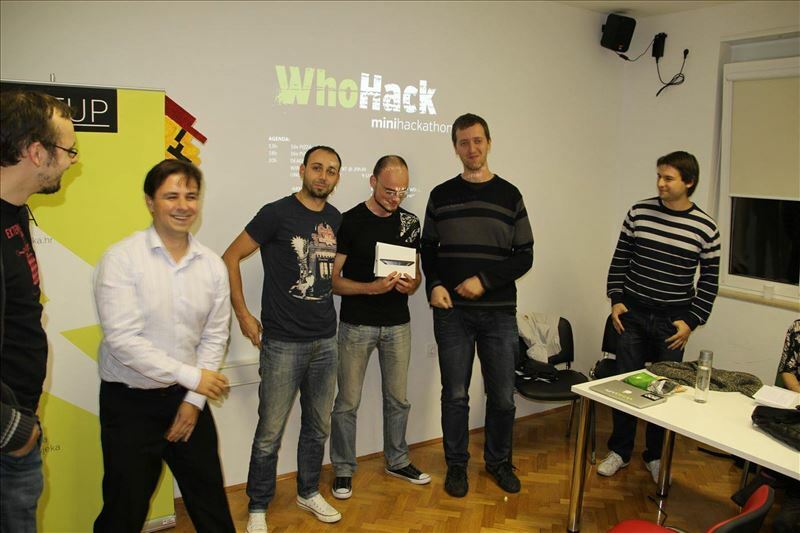 The theme of this WhoHack hackathon as part of the Startup Rijeka conference Startup Rijeka conference (more details soon) is "improving society". Come up with an idea that you can accomplish in 10 hours using any of your programming and design skills. It must be something that can be run on a smartphone that benefits society. Some simple app examples would be: bus schedule, parking availability, news on electricity and water outage, pedestrians reporting various problems, view traffic cameras or anything similar that community can benefit from. It can be a HTML5 web app, Objective C for iPhone or Java for Android, whatever you decide. Best teams will be awarded with valuable prizes. Food, drinks and snacks will be provided, just make sure you create the winning idea! The project must be mobile web/app that benefits society. Group or team can contain a maximum of 3 members. Bring your own equipment for development. October 19th 2013 on Saturday at 9AM. Address: Startup Rijeka inkubator (top floor), Ružićeva 14, Rijeka. Event is free and open for everyone who register. We have 30 seating positions in total.